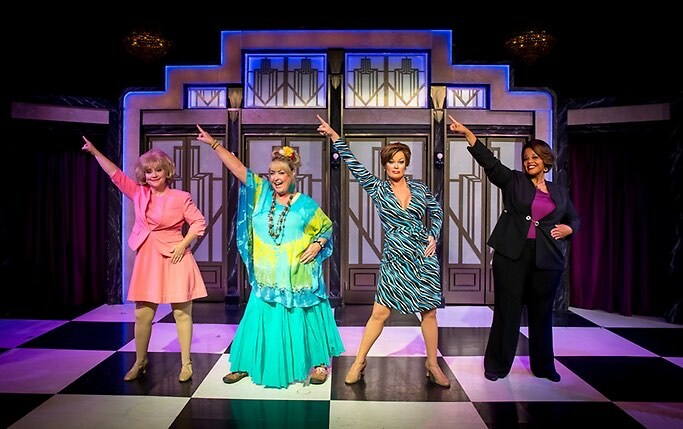 Menopause the Musical Las Vegas has been entertaining audiences for over a decade by intertwining aging female problems with parodies of musical hits of several eras. This 90-minute musical event was most recently awarded Best Live Show 2015 by the Vegas Seven and continues to be a must see for both women as well as men who enjoy fabulous dancing and singing with a sprinkling of humor. Menopause The Musical evolves around four women that are experiencing change and sometimes drastic changes in their lives because their aging bodies. Each woman fits a certain demographic that most female audience members can understand. There is a housewife from Iowa, a soap star, a hippie earth mother and a professional woman. Each performer hits the stage with an entertaining parody of their experiences with such physiological problems as hot flashes, night sweats, insomnia, mood swings and enlarged waistlines. There is a vast amount of memorable music in the Menopause The Musical such artists as Sonny and Cher, Bee Gees, Beach Boys and other hit music groups from the 1950s, 60s and 70s. There are no live musicians on stage. The music is piped in by the sound system which allows for some of the lyrics in each song to be changed in a humorous way to reflect the symptoms of menopause. Some 25 songs are performed including such parodies as I Heard it Through the Grapevine: You No Longer See 39, Stayin’ Awake: Stayin’ Awake and Change of Life. 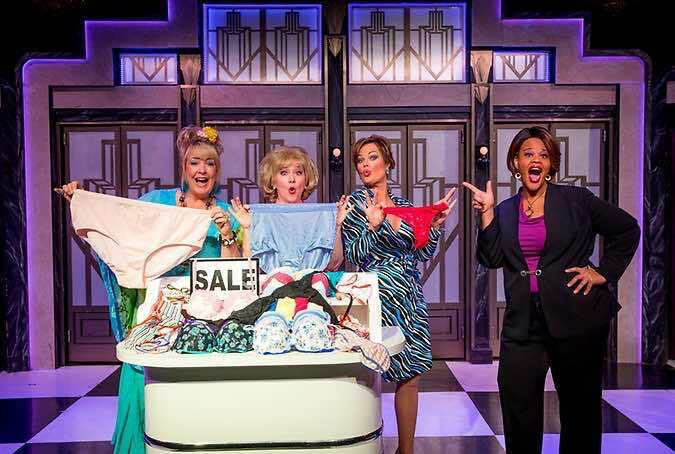 Menopause the Musical has a storyline that is set in a department store where four women are experiencing the changes of menopause. One scene has all four of the ladies engaging in a tug-of-war for a fancy black laced bra in the lingerie section. From here the four ladies become somewhat friends during the performance and actually have lunch with conversations that might seem like that they have known each other since childhood. Some of the segments lean on the sexual side of change when the soap star enters the audience and begins to flirt as well as make sexual advances on one male audience member with a lap dance. The performance includes a nice gathering of women from the audience on stage with the performers to engage in a festive dance which afterwards the females on stage received a gift. Although Menopause the Musical is centered on females, the audience usually includes a fair amount of husbands. Some men can understand the problems with menopause and others may not understand. The storyline is there to follow and the superb singing as well as dancing will keep the men in a confused entertained state of mind. 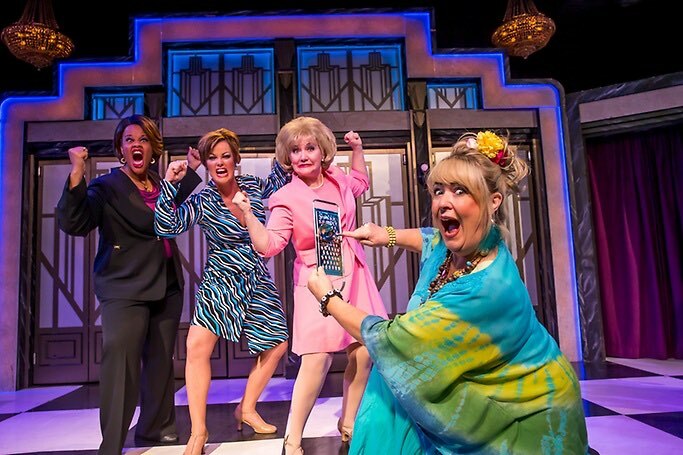 The Harrah’s Showroom is ideal for this production of Menopause the Musical. The seating has good sight views and the state-of-the-art sound system brings the music to the audience with clarity. The multimedia effects and lighting are synchronized to enhance the musical. Menopause the Musical is a superb way to spend some quality with your husband, boyfriend or even for a bachelorette party function. People will enjoy the humor, the music and the beauty of the ever changing storyline. Menopause the Musical is the creation of GFour Productions which has brought over 3,000 performances of this musical to stages around the world. 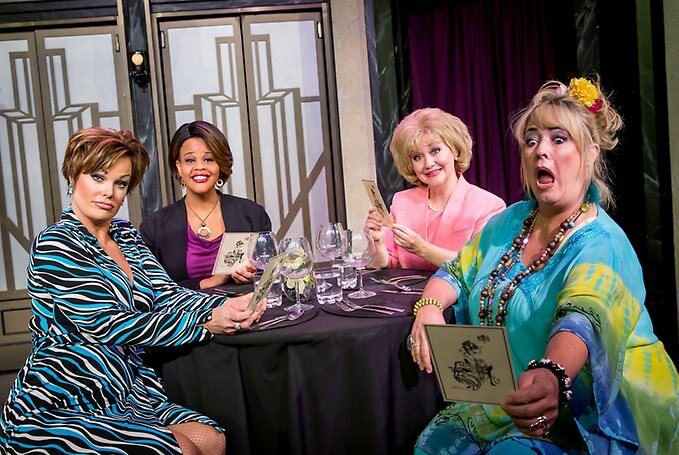 The all-female cast members are actually over 50 years of age and they keep a fresh look at the show nightly because many of them are experiencing the symptoms of menopause in real life. Cast members include Kittra Coomer who plays the hippie type earth mother; Lisa Mack portrays the powerful professional woman; Laura O’Connell is the Iowan housewife and Paige O’Hara performs as the aging television soap star. Understudies and fill-ins include Lori Legacy Hunt as well as Richel Kompst who are at ease with any of the characters. The show is performing at Harrah’s Showroom located within the Harrah’s Hotel and Casino. The venue has good sight views and offers comfortable table seating. There is a state-of-the-art sound system and multimedia effects that add value to the choreography. The show is open to patrons fourteen years of age or older. The show is running two shows on Monday at 4:00 and 7:30 P.M. as well as Tuesday through Sunday with show times at 6:30 P.M. Menopause The Musical Tickets are on sale now and range from the upper level reserved tables to an up-close VIP table.